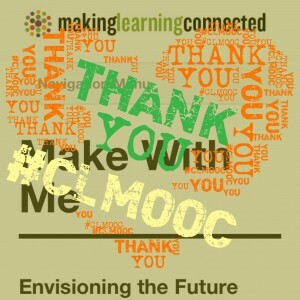 Thank you again to the participants and facilitators of #clmooc. It’s been a connective, reflective, detective adventure. I appreciate the feedback conversations and tips to move from failure to success, and I hope I have helped others. This has been inspiring because of the many options, extensive models, encouraging feedback, and uplifting conversations in the #clmooc blog and G+ community. What influenced me? How? What did I do? What will I do in the future? I’ve always expected my students to write as authors, with plenty of time for their own journal writing and choices in assignments. Now those options can be collaborated and connected using the thinking involved in not just the writing process, but the design process. Writing that is natural to the student’s author within, with lots of feedback and models from which to chose how and what to share with their readers. How can these authentic and connected writings occur? How about: Connect2Learn as a hub to connect teachers and students. A Hub: to make these happen in a connected way — connect, create, participate, present. Students and teachers posting “make” ideas and results/products for themselves and others for connections and collaboration. A place for audience consideration, where writers make for readers — and other writers. What better way to learn writing? Connect2Learn — with an invitation for collaboration and co-creation of it. One blog connected to classes with collaboration in Wikis or other places; this blog is the hub. Using Paul’s idea, three or more classes would connect in this space; others also could add if stumbled upon during the sharing. But it’s more than a hub. Both this blog and Connect2Learn are but two nodes within ever larger networks. They are stopping spots, viewpoints and interpretive centers, for travelers in their learning journey. Our individual and group communities are places to sign in and participate to learn, gather and share ideas, and move on to share with others. We are connected learners traveling for ourselves and to make our communities better. What place, viewpoint, community will you build or join to continue our #clmooc experience? Will you stop a while and share? Will you share your node so we can add it to the neighborhood? 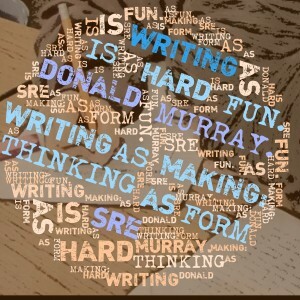 On my wall at school is this quote: “Writing is hard fun. 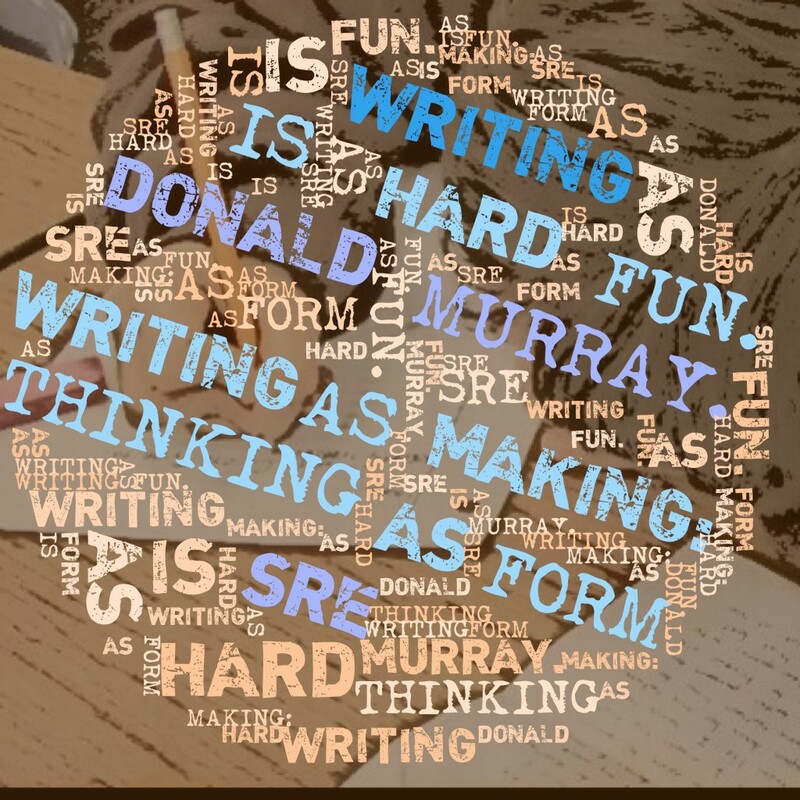 ~ Donald Murray” This sets the tone for learning about writing — for the work of pulling out the personal imaginings and transforming them into thoughts on paper, on media, in digital to discover the joy, the fun, of creating something that others also appreciate. Because writing is hard fun. Word Fotos: Janis Jones Maria Selke Note: I use Visual Poetry Possibility for analysis visual with text for science and social studies or literature. My Try with 10 “READS” which links to a blog post and a Flickr Image that takes you to my current reads. These linked images could be used to share research, ideas for topics, sharing for comments, sharing current reads for reviews. What lyrics linger in your mind? How are they connected to your world? Why do they linger? How does your reason connect to the original text and possible author intent? Common Core State Standards expect analysis of words and phrases, text dependent analysis and understanding. What if students share these — could be lyrics, poetry, literature. Share, discuss, compare. Not only could students tell their own or a book’s story, but also write poetry to create the power of words and begin an understanding of poetic empowerment and creation, such as personification of a found rock in its location (science). This is a great make: put on class blog and allow students to create their own “journal hacks,” sharing responses. 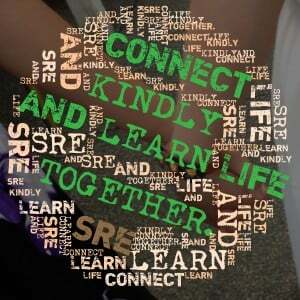 Three schools develop student — perhaps staff — PLN together. This is similar to what I was thinking — A Hub: Where to make these happen in a connected way — connect, create, participate, present. 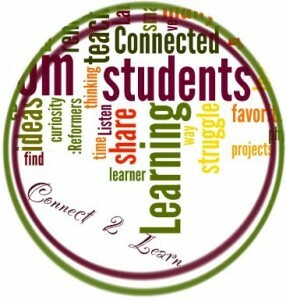 Connect2Learn is that hub– with an invitation for collaboration and co-creation of it. YouthVoices by Paul Allison– Set up for students to express themselves. Wow! There’s so muh here, Sheri. The idea of lasses collaborating online is intriguing! Hi Susan! I hope we can perhaps work together on a “make” during the year! So much to do and so little time, but perhaps a few of us in the #clmooc can figure out a project, a make, a sharing. Vanessa, Thanks for stopping by. 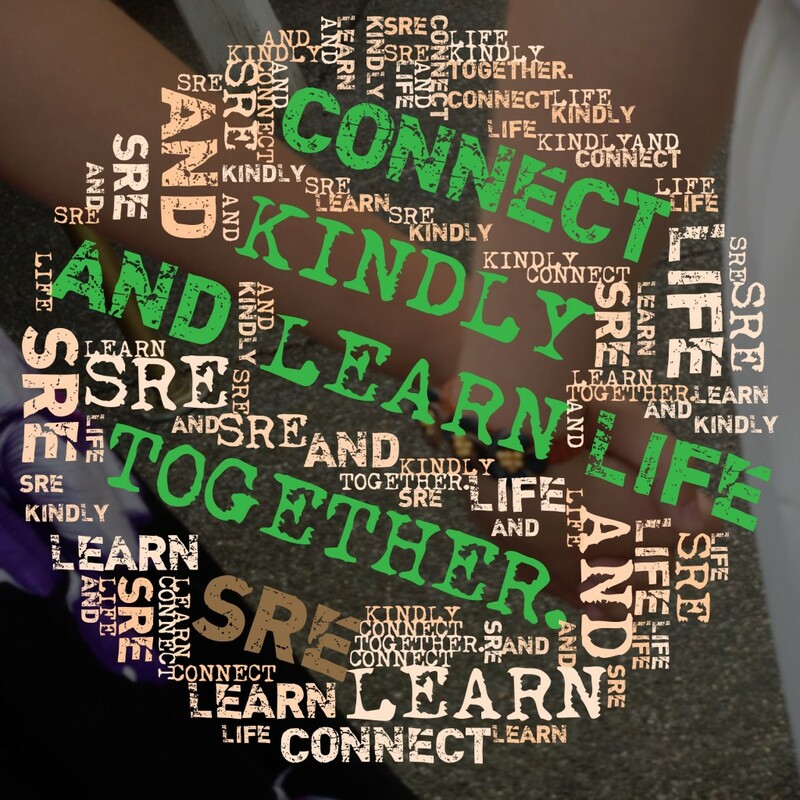 I agree, we need to connect and reconnect in many places to build a networks of learning.This blog and Connect2Learn are but two nodes within a larger network. I probably should add that to the content above. These are just stopping spots, viewpoints and interpretive centers, for travelers in their learning journey. Places to sign in and participate to learn, gather and share ideas, and move on to share with others. Thanks for sharing in your stop here!